Getting stopped by the police and receiving a ticket can be frustrating and stressful. Many traffic violations negatively impact your driving record and insurance rates, which means that you can be paying for one small mistake for years to come. Before just paying a ticket, make sure you know your other options. It is possible to challenge a ticket. If you have a commercial driver’s license or an intermediate driver’s license, it is absolutely essential that you contact an attorney immediately: the violation could severely impact your career or ability to drive. For many individuals, the thought of hiring an attorney for a traffic infraction has never occurred to them. Instead, they think they can represent themselves. While you certainly have the right to represent yourself, an attorney will be more familiar with the arguments needed to present your case properly. Simple excuses, like “I was going with the flow of traffic,” “I know I wasn’t speeding because my car can’t go that fast,” or simply “I don’t think I was going that fast” don’t work. Paying a little more today in order to hire an attorney can potentially save you a lot of money later down the road in avoided insurance rate increases. At the Law Offices of Jason S. Newcombe, we’re here to protect your driving record and license. 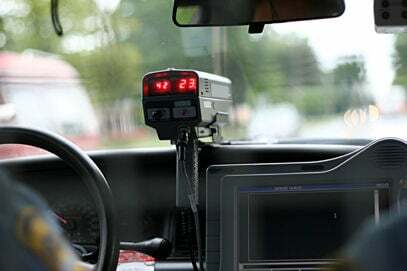 If you are thinking about fighting your traffic violation, contact us today for a free consultation with an experienced Bellevue, WA traffic ticket attorney.